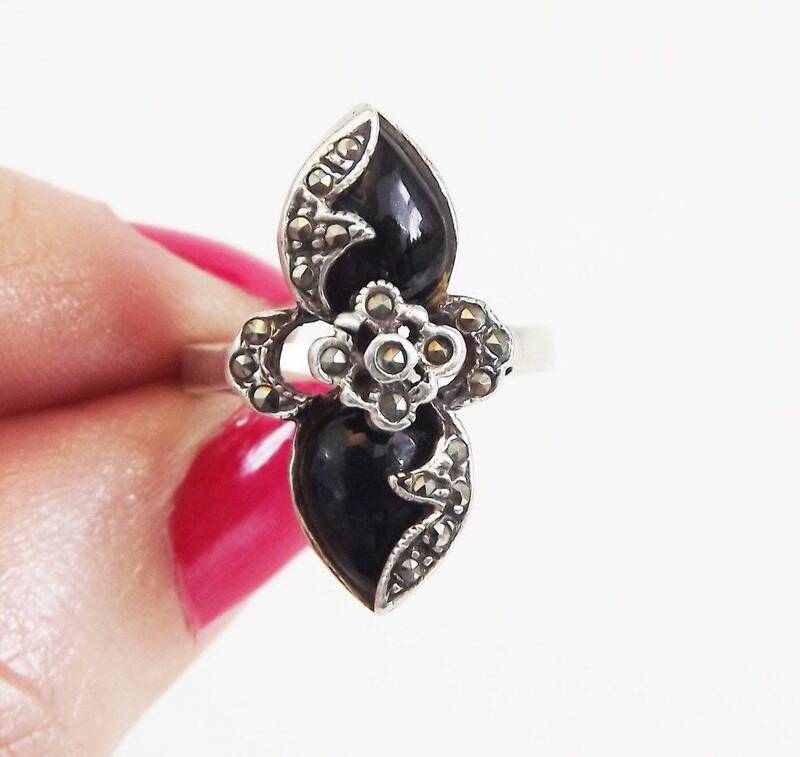 Pretty vintage sterling silver ring featuring black onyx stone and marcasite in a flower / floral design. 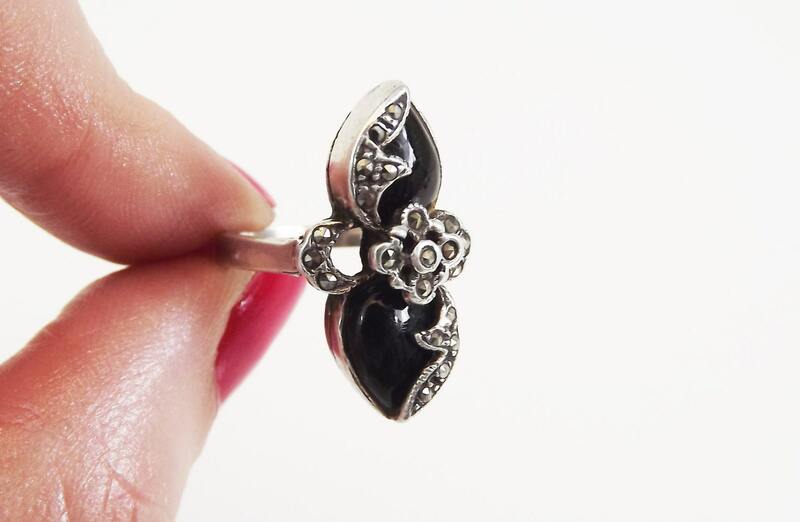 Cute piece of retro sterling silver statement jewelry! 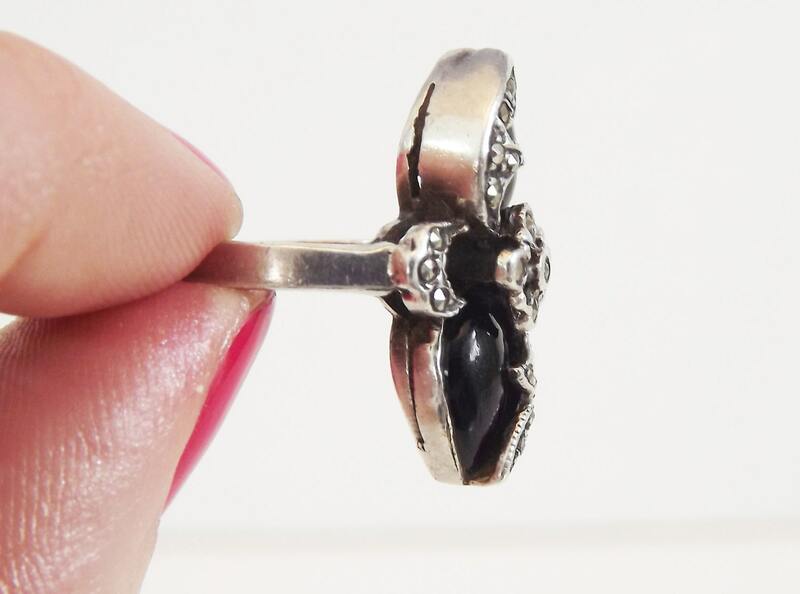 METAL / MATERIAL - Sterling silver, black onyx stone, marcasite. CONDITION - Good vintage condition. Stone is secure in setting with light vintage wear. 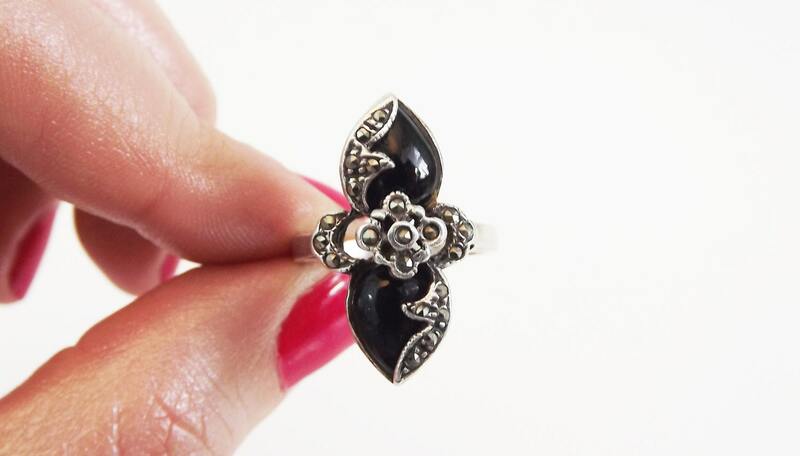 Lovely retro ring! 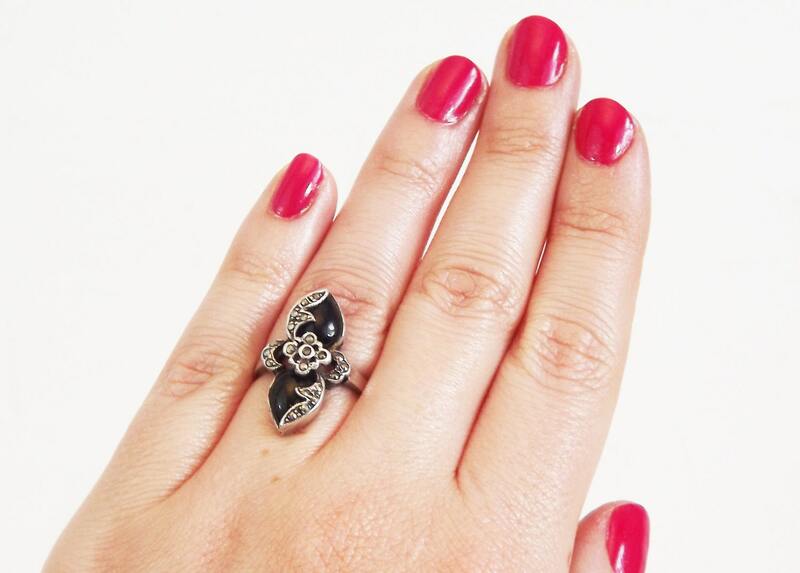 SIZE / MEASUREMENTS - Size: Ring size 6. Ring is approx. 1'' long.